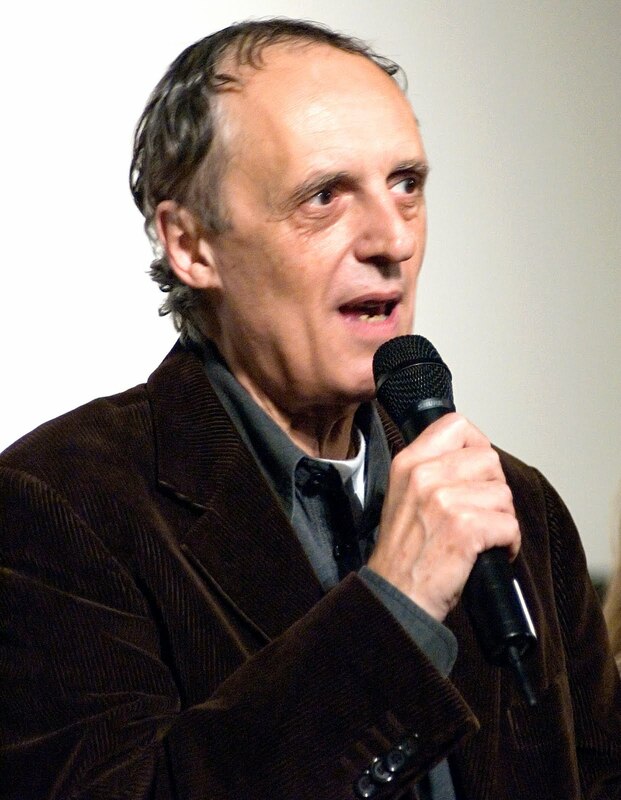 Dario Argento was born on September 7, 1940 in Rome, Italy. The first born son of famed Italian producer Salvatore Argento and Brazilian fashion model Elda Luxardo. Argento recalls getting his ideas for film making from his close knit family from Italian folk tales told by his parents and other family members including an aunt who told him frighting bedtime stories. Argento based most of his thriller movies on childhood trauma, yet his own, according to him, was a normal one. Along with tales spun by his aunt, Argento was impressed by stories from The Grimm Brothers, Hans Christian Andersen, and Edgar Allan Poe. Argento started his career writing for various film journal magazines while still in his teens attending a Catholic high school. After graduation, instead of going to college, Argento took a job as a columnist for the Rome daily newspaper “Paese Sera”. Inspired by the movies, Argento later found work as a screenwriter and wrote several screenplays for a number of films, but the most important were his Western collaborations, which included Cemetery Without Crosses (1969), and the Sergio Leone masterpiece Once Upon a Time in the West (1968). After its release Argento wrote and directed his first movie, The Bird with the Crystal Plumage (1970), a loose adoption on Frederick Brown’s novel “The Screaming Mimi”, which was made for his father’s film company. Argento wanted to direct the movie himself because he did not want any other director messing up with the production and his screenplay. After “The Bird With the Crystal Plumage” became an international hit, Argento followed up with two more thrillers, The Cat o’ Nine Tails (1971) and Four Flies on Grey Velvet (1971) (“Four Flies On Black Velvet”), both of them were backed by his father Salvatore. Argento then directed the TV drama “La porta sul buio: Testimone oculare (#1.3)” (1973) and the historical TV drama Le cinque giornate (1973). Argento then went back to directing the so-called “giallo” thrillers starting with Deep Red (1975), a violent mystery-thriller with inspired a number of international directors with the thriller-horror genre. His next work was Suspiria (1977), a surreal horror film about a witch’s covenent which was inspired by the Gothic fairy tales of the Grimm Brothers and Andersen which were collaborated by his girlfriend, screenwriter/actress Daria Nicolodi, who acted in “Profondo Rosso” (“Deep Red”) and most of Argento’s films from then on to the late 1980s. Argento advanced the unfinished trilogy with Inferno (1980), before returning to the “giallo” thrillers with the gory Tenebre (1982), and then with the haunting Phenomena (1985). The lukewarm reviews caused Argento to slip away from directing to producing and co-writing two Lamberto Bava horror flicks which were Dèmoni (1985) and Demons 2 (1986). Argento returned to directing with the “giallo” thriller Opera (1987), which according to him was “a very unpleasant experience”. A number of technical problems happened which delayed production, the lead actress Vanessa Redgrave dropped out before filming was to begin, Argento’s father Salvatore died during filming, and his long-term girlfriend Daria broke off their relationship. After the commercial box-office failure of “Opera”, Dario Argento temporarily settled in the USA where he collaborated with director George A. Romero with the two-part horror-thriller Two Evil Eyes (1990). Argento had previously collaborated with Romero on the horror action thriller Dawn of the Dead (1978). While still living in America, Argento acted in small movie roles and directed another violent mystery thriller Trauma (1993) which starred his youngest daughter Asia Argento from his long-term relationship with Daria Nicolodi. Argento returned to Italy in 1995 where he made a comeback to the horror genre with The Stendhal Syndrome (1996) and then by another version of The Phantom of the Opera (1998) both of which starred Asia. Most recently, Argento directed a number of ‘giallo’ mystery thrillers which include Sleepless (2001), Il cartaio (2004), and Ti piace Hitchcock? (2005), as well as two gory, supernatural-themed episodes of the USA TV cable anthology series “Masters of Horror”. Always wanting to make a third chapter to his ‘Three Mothers’ horror films, Argento finally completed the trilogy in 2007 with the release of his latest movie La terza madre (2007) which starred Asia Argento as a young woman trying to identify and stop the last surviving evil witch from taking over the world. In addition to his Gothic and violent style of storytelling, La terza madre (2007) has many references to the previous two films Suspiria (1997) and Inferno (1980) which is a must for fans of the trilogy. His movies may regarded by some critics and opponents as cheap and overly violent. But second or third viewings regard him as a talented writer/director with a penchant for original ideas and creative directing.